The winter holidays are a time for gathering together with friends and family to celebrate – which means, for many people, it’s also the time to prepare for plenty of guests to be visiting their home. How can homeowners spruce up their bathrooms to make them more inviting to their guests and more appealing to use during the cold of winter? Our bathroom enclosure installation experts have a few tips. You know that pleasant feeling you get when a light, warm rain falls on the top of your head? Rain shower heads replicate that sensation by projecting water at a 90-degree angle, just like real rain. 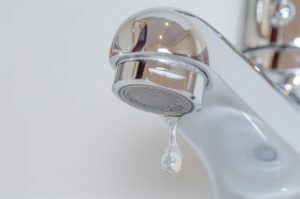 It makes showers even more relaxing and satisfying, and it’s a great way to make guests feel happy to be in your home. Is there anything more comfortable than a thick, fluffy bathrobe? Nothing we can think of, anyway. Providing your guests with spa-style bathrobes to wear in your bathroom won’t just help them fend off the cold – it’s also a great way to show them they’re welcome to be there and that you appreciate their company. Remember when we said there wasn’t anything more comfortable than a spa robe? We might have to take that back, because being able to grab a nice, warm towel right after climbing out of the bath or shower is pretty great, too. Heated towel racks solve two problems at once: they provide a place to hang all the towels you need to serve your guests, while also adding a little touch of comfort to anyone using your bathroom during the winter. When people think about putting art on display in their home, the first place they consider is the living room. Why limit yourself to just one room, though, especially when the bathroom is often the room in the house most in need of additional decoration? Placing a painting, wall hanging, or even a flower basket in the bathroom is a great way to make it feel less stark and utilitarian, and more like a proper room in a house. It can’t be overstated just how much some well-placed floor mats can make a bathroom more comfortable. No one wants to step on cold tile with their bare feet, especially after they’ve just climbed out of a warm shower in the middle of winter. On top of that, floor mats are a great way to add some color and visual flair to a room. How well lighted is your bathroom? Many people’s bathrooms have lighting that is functional, but that doesn’t really illuminate a space fully or in a way that makes it feel comfortable. Even if you don’t have the time, money, or will to install new fixtures, try experimenting with brighter bulbs or by placing lamps in the bathroom – you might find you like having the additional lighting! 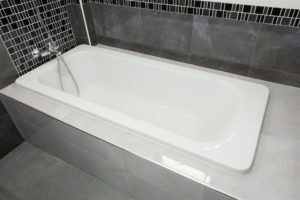 For more information on bathroom design and installation, contact American Bath Enterprises, Inc. today at 888-228-4925.